I hate spam. For me, it’s not that it clutters my inbox. Getting more email makes me feel important. It’s also not because they’re advertising a product. As long as it’s something I like, it doesn’t really bother me. I think the reason I hate spam is because it’s so impersonal and repetitive. Blog spam is the best in this regard. It’s so general and vague and usually refers to how great your post was in the most obtuse way possible (not to mention the horrible grammar). In reality the approach of the spammer is almost insulting. 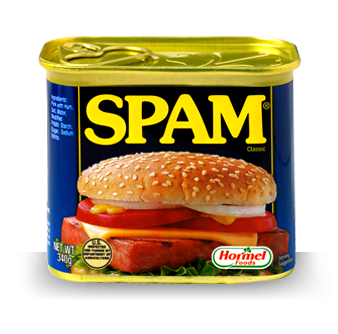 I’ve been thinking over the last month or so that maybe my prayers are sort of like spam too. What I mean is that I think I’ve been too careless, too repetitive, too casual, and too impersonal in my prayers. I guess it’s a bit of a challenge. I know that the Holy Spirit takes my sloppy, selfish prayers and cleans them up and prays them for me (Rom. 8:26-27). 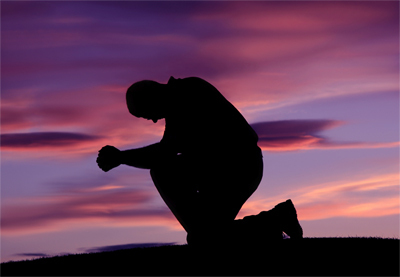 I know that Jesus pleads my case before God the Father when I pray (1 Tim. 2:5). I know that the prayer of the instant necessity, like the woman who cried out “Lord, help me” (Matt. 15:25), is just as welcomed as the prayer of long contemplation. All this makes sense to me, but I also remember the words of Jesus when He spoke of not being empty or repetitive in our prayers (Matt. 6:7) and this urges me to consider the worth of my thoughtless lunch prayers and little meeting-closing prayers. Do I weigh the words as if they are being delivered before the throne of the Almighty? Clearly the disciples felt that this was a matter of enough import to ask Jesus to teach them how to pray (Luke 11:1). They were humble enough to realize that they had sloppy prayer lives and needed help (I suppose spending a few years with the Messiah would do this to me as well), but I think I may not be as aware as my problem in this area as the disciples were. For quite some time I’ve questioned the use of written prayers. Often these prayers, when read aloud, seem stiff and impersonal too, but part of me is beginning to think that maybe the thought, the intentionality behind them is more of something like a five-course meal than the little fast food prayers I often offer over my lunch. This year I’m going to spend more time writing out prayers driven from the text of Scripture in order to course-correct in this area. Instead of spamming God, I’m going to start writing Him some meaningful communication.